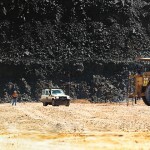 Coal Council of Australia (CCA) chief executive Greg Evans has condemned the New South Wales Land and Environment Court’s decision to refuse Gloucester Resources’ appeal over the Rocky Hill mine development. “The NSW Government must decisively reject the approach of the court,” Evans said. 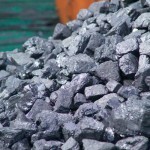 The NSW court delivered a verdict last week that said Gloucester’s long-planned coking coal mine could not go ahead due to negative social and environmental factors, including climate change impacts in line with the Paris Agreement. Evans also stated that the court’s decision would be detrimental for jobs and economic opportunities in regional NSW to the benefit of international competitors, while also indicating that the court’s focus on greenhouse emissions was erroneous. 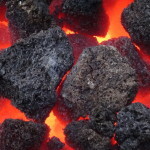 “The court indicates it can consider as part of its decision the greenhouse emissions from coal as it is used in the making of steel in another country,” said Evans. In reference to the Paris Agreement, an international accord to limit global warming, Evans also stated that it was not about banning industries in supplier countries, but instead about individual countries drawing up contribution plans to “deal with emissions at their source”. Evans then went on to state that one of Australia’s main coal rivals, the United States, was “not even part of the Paris Agreement”, though this is not technically the case yet; while US President Donald Trump has announced his intention to pull the US out of the Paris Agreement, he is not actually eligible to do so until November 2020.